Iranian officials last week informally presented to several Western energy companies and Iranian contracting and production companies the contract it hopes will attract $100 billion in foreign investment to Iran’s energy industry. Formal unveiling is planned for November 28/29 in Tehran. According to Seyed Mehdi Hosseini, the Oil Contract Restructuring Committee in the Ministry of Oil, bidding for projects will begin March 21, 2016 and that he expects contracts to be signed within two years . New Contract Terms: Sufficient to Entice? The contract, however, also contains features that should give foreign companies pause. The Iranian government will not release companies from their contractual obligations if (or, some would say, when) the U.S., Europe, and the UN individually or collectively impose sanctions once again. Also, Iran will require foreign companies to share in the financial pain declines in the price of oil cause. Further, companies must partner with pre-selected local companies. Iranian officials portray the new approach as a significant improvement over the terms offered to foreign companies prior to the imposition in 2011 of sanctions in response to illicit Iranian nuclear activities. 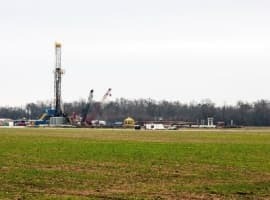 Those contracts offered only five-to-seven year terms, only covered budgeted production costs, granted a fixed fee of 15 percent or less on top of the budget production costs, and lacked a share of the oil produced or compensation for output above the budgeted amount . Investing in Iranian Energy: Risky? A requirement to fulfill contract obligations despite sanctions will subject companies to potentially debilitating losses. A foreign company’s contribution will be tangible—capital, technology, equipment, and experienced manpower. In addition, the company’s investment will be made many months, even years, before it generates any revenues and even more years before revenues suffice to payback the investment, much less earn a positive return. Finally, the foreign company will share profits with the Iranian government and the local partner. Since companies and the banks that finance them are unlikely to risk their government’s wrath—and/or the U.S. government’s wrath (banks and businesses that have violated U.S. sanctions have paid penalties in the tens and in some cases the hundreds of millions of US dollars)— to please the Iranians, the company’s investment could be lost were sanctions to be re-imposed. Iran could seize the company’s assets in Iran. Also, depending on a contract’s conditions, Iran could seek compensation from the company for abandoning its project. Thus, companies—and the banks that finance them—will have to calculate the political risk investing in Iran will entail (and their appetite for such risk). Some, at least, will not take comfort from Iranian support for the Houthis in Yemen, Assad in Syria, Shiite militias in Iraq, Hezbollah in Lebanon; their involvement in weapons smuggling into the West Bank and in supplying missile technology to Hamas in the Gaza strip to use against Israel; and Iran’s ballistic missile test in mid-October, which U.S. government officials have said violated the P5+1 nuclear agreement. Taken individually or collectively, these activities could force companies to stop work on or abandon their projects in Iran. Is Iranian Energy Worth the Bother? Companies will have to judge whether Iranian energy reserves, the physical attributes of these reserves, and Iran’s new terms are sufficiently superior to the alternatives to warrant the allocation of scarce investment funds. Competition is intense worldwide to attract capital to energy projects. OPEC Secretary-General Abdalla Salem el-Badri noted recently noted that some $130 billion, roughly 22 percent, has been cut from petroleum industry investment in 2015. Iran is not the first country to offer improved terms—and it is unlikely that it will be the last. Mexico has enacted legislation opening its reserves to foreign participation for the first time in generations. 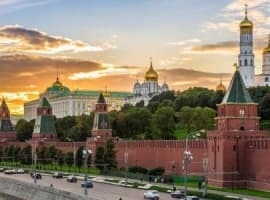 Russia, desperate for capital to develop its energy resources, has offered foreign companies ownership shares in domestic resources—which the Russian government had previously banned. Saudi Arabia, which is suffering sharp reductions in oil export earnings, taking steps to open its markets to foreign capital, and competing intensely with Iran economically, politically, and militarily, may find it a necessary to offer enticing terms for foreign energy companies. Also, companies can acquire 100 percent ownership of energy assets in countries without Iran’s baggage and at discounted prices, given low crude and natural gas prices. 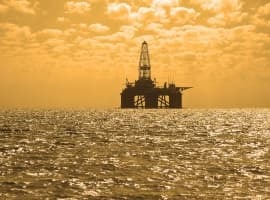 A Bloomberg article reported this past week that BHP Billiton is “snapping up oil-exploration prospects from the U.S. to Australia and flagged this week that it’s seeking to make more similar investments.” Woodside, an Australian company, has offered to buy Oil Search, another Australian company, at a price equivalent to $22.74 per share for Oil Search’s proven and probable oil and gas reserves. An October 25 Wall Street Journal article reported that Chinese real-estate developer Yantai Xinchao Industry Co is acquiring two Texas oil companies, Tall City Exploration LLC and Plymouth Petroleum LLC, as part of its acquisition of a Chinese investment company, Ningbo Dingliang Huitong Equity Investment Center. 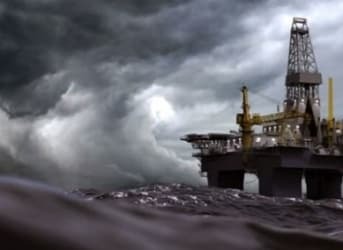 The article noted that “The U.S. has long been a desired destination for Chinese energy companies owing to stable laws governing oil exploration and production.” Related: Oil Market Showdown: Can Russia Outlast The Saudis? Finally, companies will need to calculate the impact of incremental Iranian crude on crude prices. Many observers see the oil market remaining oversupplied into 2H 2016, and some see the incremental one million barrels/day Iran claims it can produce within six-to-twelve months pushing the market’s rebalancing past that date. Increasing Iranian crude output above this one million barrels/day in the next few years could keep a lid on crude prices, or lower them, thus reducing the returns a company could generate from investment in Iran’s energy industry. None of the aforementioned means that companies won’t negotiate and close deals with Iran over the next few years. For foreign policy reasons, some countries, including Russia (even though, Iranian oil competes with Russian oil in Asia), China, France, Germany, and the U.K., will encourage their oil and natural gas companies to establish a position in Iran and be willing to indemnify them against losses due to sanctions. In addition, since Russia and China are unlikely to re-impose sanctions on Iran and can circumvent U.S. sanctions if necessary, they probably are less concerned about the possibility of renewed sanctions. It probably does mean, however, that these countries’ companies and companies that do not enjoy their governments’ backing will invest cautiously. Thus, it is likely that foreign investments in the next few years will be modest and that the $100 billion Iran is seeking will be a long time coming.